Paul wrote a very personal letter to his friend, Philemon. The purpose of this letter was to ease the way for Onesimus, Philemon's runaway slave, to return to his master. Since fleeing from Philemon, Onesimus came to Christian faith through Paul's ministry in Rome. 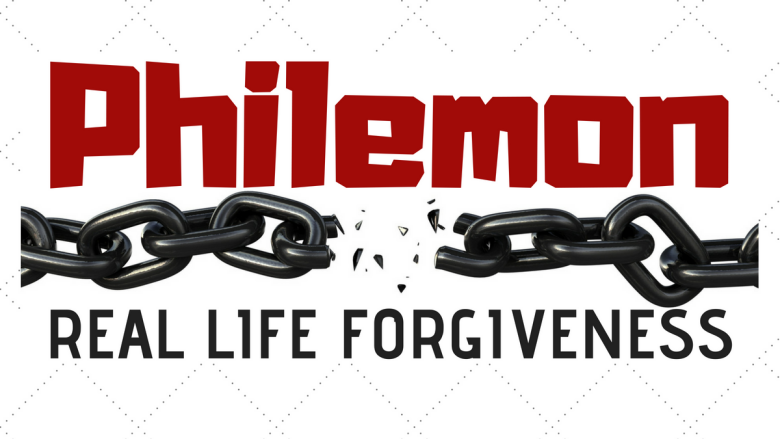 Paul asked Philemon to receive his slave back not as property, but as a Christian brother. This is a letter urging grace and forgiveness, reconciliation and renewed relationship based upon Christ. In this short two week series which will book end the month of July, we will see the theology of forgiveness, some examples of forgiveness and in this letter, forgiveness played out in real life.